One of the pillars of the American dream is home ownership. Kitchens and baths are the cornerstone of a beautiful home. The go to plumbing contractor for builders in the bay area when it comes to kitchens and baths because we have never missed a deadline in our 45 years. Plumbing by necessity requires assembling numerous different types of fittings and pipe to ensure its smooth and efficient operation. 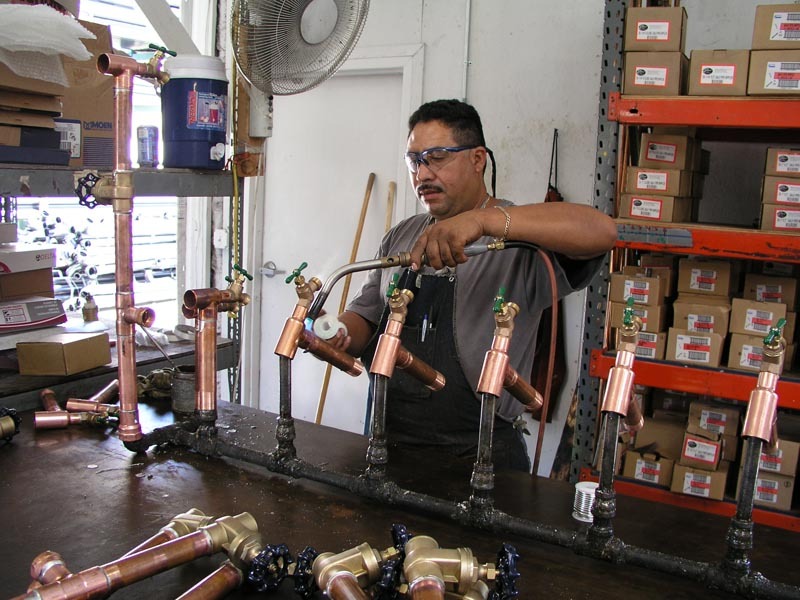 Can-Am Plumbing maintains a large prefabrication facility in our Pleasanton shop. We custom design the system to be installed to maximize the use of these facilities. In our shop we assemble sections of pipe, fittings and valves under controlled conditions, maximizing both quality and labor productivity. Assembled sections are stored until needed, and delivered to job sites as the building is erected. Less time is required in the field, and quality significantly improves – it’s simply easier to do the job right when the materials are on a work table rather than ten feet in the air. We understand that homebuilders offer numerous upgrades and options to their customers, enabling buyers to customize their purchase to meet their own needs and budgets. On many projects dozens or even hundreds of upgrades are offered for plumbing alone – from simple upgraded faucets to entire bathrooms. 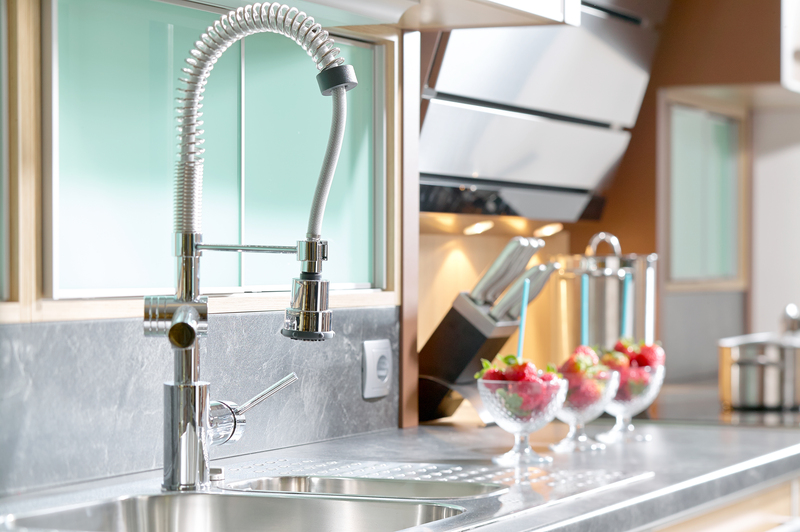 Because of the many combinations of product available to the home buyer, many plumbing contractors have difficulty ensuring the right item is properly ordered, delivered and installed on a timely basis. Can-Am Plumbing uses customized software developed in-house to track all home buyer upgrades. At the beginning of each project, every available option is entered in our master database. Separately, each home is added to this database as it is released for construction. Adding an upgrade to a home under construction requires only a click of a mouse; the software automatically generates the communication needed to purchasing, field operations and accounting to ensure timely and accurate installation of the upgrade. Finish items such as faucets, valves and trim are expensive, subject to theft and frequently need long lead times for delivery. Further, home buyer upgrades require different types of fixtures at each home, allowing for errors in installation if such upgrades are not properly tracked. Can-Am Plumbing has all such items delivered to our warehouse ahead of time to ensure they will be available for installation on a timely basis. Using information from our customized software, the finish items are boxed together and delivered to the job site just in time for installation. 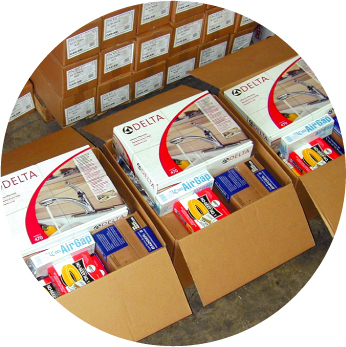 Each box is labeled for each specific lot, and includes other items such as tubes of caulk and any final items of trim to enable our field plumber to complete its installation without any need to locate additional materials. This procedure allows for customization of all homes on a job site, minimizes the risk of break-ins and theft, reduces delays caused by vendor lead times, and decreases labor time at the job site – all of which simply enable you to deliver a home to your buyer more quickly. 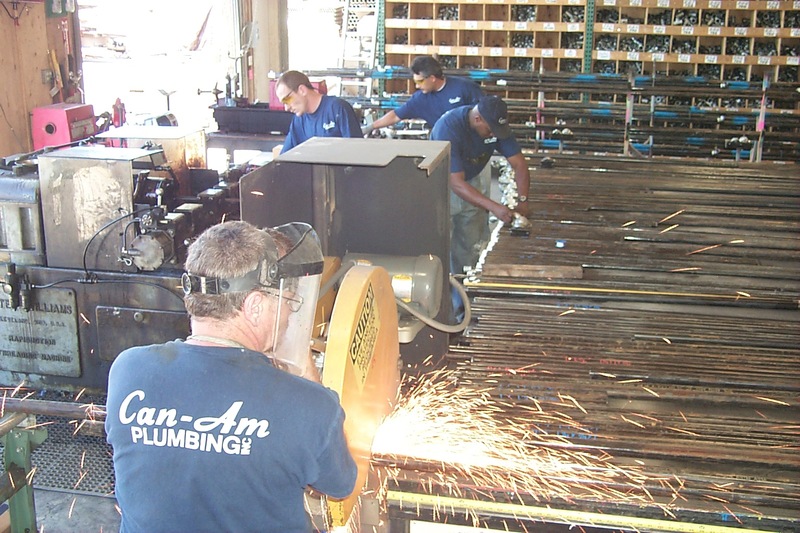 Can-Am Plumbing has been a leader in the industry in training its employees for over 45 years. From our newest apprentice to our seasoned skilled craftsmen, we ensure all employees receive training and certifications in all aspects of the pipe trades. We participate in state-certified apprentice programs, run in-house programs to keep our foremen up-to-date, and warrant that all necessary certifications are received from manufacturers before our employees work on their products. In short, when our plumber shows up on your project, you will know he possesses the job skills to perform his assigned duties. Every single project that Can-Am Plumbing undertakes begins with a walk through of a production model. The entire project team – the estimator, foreman, designer and superintendent for the project are all present. There is a thorough review of the design, all materials and the installation process to make sure that all aspects of the project are within our quality standards. If they are not, we will make adjustments to bring them up to our standards. This walk through enables us to identify time saving changes on production homes, update drawings to match actual execution and to update the bid to match any and all changes needed. Call us today and find out how our project management team can help you give your clients the best product on the market and enhance your reputation with the buying community as a whole.